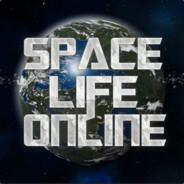 PvP on Space Life Online or not? No, I do not like PvP, and I will leave your server if you do! Space Life Online will always be a PvE focused Empyrion server, but perhaps we could add a few PvP playfields which are, just like the current Asteroid Field, clearly marked on the sector map, so PvE only players are not unsure whether it is PvP or not. The plan would be to have PvP in a controlled and orderly manner in a designated area with balanced game rules and some restrictions to make it less tedious to the average player. An idea is to restrict the type and size of vessels and other improvements. I may also add story elements and design some missions to do something inside the PvP zones instead of just aimless gibbing which I do not really like. Thus it will be like PvE with the possibility of PvP occurring in there. What I will not do is add resources which can only be acquired by venturing into a PvP zone, no one is going to be forced into such a place. PvE players will soon get an improved story telling, with additional missions and so you are in the spotlight, and remember SifVerT is himself a PvE player basically who appreciates the lore in games. PvP is demanding on the server hardware and I must enable combat logging and other relevant logs which increases the load (even if minor it adds up), hence it will not happen until we upgrade the hardware, if it happens, I will let all community members have a say in this. If its PVP then I want a lawless region. no restrictions. Dont like rules. The only rule I would want is no trapping people right at where people spawn in to the playfield. After that.. the only rules are made and enforced by the players in game and if yiu dont like their rules then build a team to take power away from them by force. simple as that. Otherwise whats the point of pvp. i mean, were part of the largest faction, we would either roflstomp everyone whpo would try us or we would have to play by fair numbers. i dont think it would bring any good for the rest of the people that arent part of our faction. I would have fun anyway but just making sure that TRXF doesnt ruin the servers for others by default. i think we have it good as of now, where if you want to play PvP and organise something like faction vs faction or single pvp, you can go to the asteroid field. Tho maybe we need more types of playfield like you say. (03-26-2019, 08:40 AM)EPICOSE Wrote: If its PVP then I want a lawless region. no restrictions. Dont like rules. 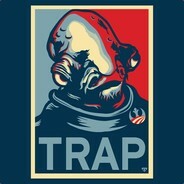 The only rule I would want is no trapping people right at where people spawn in to the playfield. After that.. the only rules are made and enforced by the players in game and if yiu dont like their rules then build a team to take power away from them by force. simple as that. Otherwise whats the point of pvp. The "rules" I was referring to is like setting up a PvP in-game scenario with a sort of objective which is controlled by the game software and scripting sort of. Also the game has problems with balance due to the sandbox style and other factors. I would want to balance this. One good idea is to use the instance mechanics innate with the game which means you can make a PvP arena with a balanced number of players and the duration can be set to last for days, but only a certain number of players from a faction may enter. Or you can limit the number of ships from a particular faction on a playfield meaning larger imbalanced battles cannot occur. There are means for an admin to enhance PvP, it only takes some work and devotion and wise decisions. If it would be the uncontrolled PvP a'la typical Empyrion servers we can be without it, this is why players aren't satisfied with PvP in the game. Also there must be a zero tolerance towards cheating, abusing glitches etc, or at least one warning and then ban. If one performs the same hack twice they have an intention to continue. (03-26-2019, 11:07 AM)Dopasopa Wrote: i mean, were part of the largest faction, we would either roflstomp everyone whpo would try us or we would have to play by fair numbers. i dont think it would bring any good for the rest of the people that arent part of our faction. I would have fun anyway but just making sure that TRXF doesnt ruin the servers for others by default. Valid concerns, what I am planning involves making a sort of fair play system, I do not seek to make an uncontrolled PvP where we end up like a majority of mainstream servers. This will require planning, but I am sure people rather would see balanced group battles 2v2, 3v3, 4vs4 or at least a set maximum of ships and their sizes. Design will matter very much but also gameplay skills. Bringing in PvP instances would also be cool meaning we can set a defender versus attacker case together with EAHs event system. As for Epicose's wish we can add a lawless playfield area too, with a clear notification that it is what is says. Asteroid Field is already that today, it has no restrictions. "hi there, 2 of us in class 7 CVs looking for a 2 vs 2 CV fight next Wednesday/Thurs, sign up here if interested !" "Class 1 SV fights asteroid belt, every Sunday Evening at 7pm." You only have a finite amount of time SiL, i'd rather see you use that time to add more pve encouters, more PVs, bigger enemy CVs, Zirax space bases etc. HWS does pvp, Space Life Online does proper PVE, don't dilute it. Advertise pvp and you will get the worst type of player here, every, every one looking to exploit to win. I spent 6 months on HWS, 3 on Golden Globe ( pvp planet), i know exactly what these ppl are like. Every one an exploiter, which is in essence HWS. 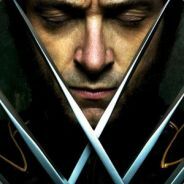 Use current exploit or die in pvp to those who do use it, so you too have to use it or u lose. Hello and thanks for your input. 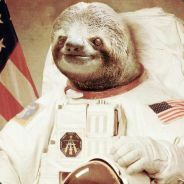 I understand your concerns about how PvP may ruin the server and make me not use my time wholeheartedly to enhance Space Life Online PvE. Anyhow, I had no thoughts of spending an overwhelming amount of time on PvP and I was not going to advertise the server publicly that it has a pressure point on it either. All I wanted was to expand it slightly with maybe a PvP planet and maybe some other playfield like a moon or a PvP instance. In it I wished to make it connected to lore and contain game elements and be controlled by scripting etc. As I said, Space Life Online is a PvE server and nothing is going to change that, but however a portion of the server population would like to occasionally, like casual PvP players, want to have options for this and that is why I wanted to invest a little in where PvP is, the asteroid field and perhaps add a planet there plus an instanced PvP map where there is an event programming. I definitely am not going to place any such resource gathering point or allow the PvP zone to be uncontrolled and like I said I plan on size restrictions, type restrictions, quantity restrictions and other means to keep it balanced for every casual player who wishes to take a break from the everyday PvE.